The HTC mobile manufacturing company is going to launch its HD in the India followed by desire Z. HTC Desire HD and HTC Desire Z is ready to hit the Indian market in January in the leading stores. The price of this HTC Desire Z at the time of launch is set to be set as about 32,000. 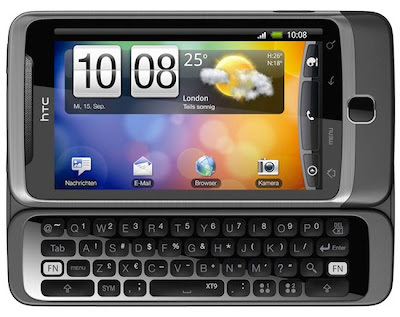 HTC Desire Z is a very much latest update of HTC in the market for the HTC lovers. Now this latest release of HTC has very much integrated features in it. This HTC hand set has a touchscreen display screen of 3.7. This mobile phone has a QWERTY keypad which can run on Google android 2.2 OS. This hand set has a 5 mega pixel camera with flash functionality with it. HTC Desire Z has enhanced with sense UI and very good video recording. This handset also has an advantage like sense web services like online data back up in it. HTC desire Z will be out in leading stores in India in the first week of January 2011. This presentation of HTC Desire Z by HTC is going to be very good and cool phone of users. It will really going to be liked by youth crowd of India. HTC mobile phone lovers will surely find this very useful for them. 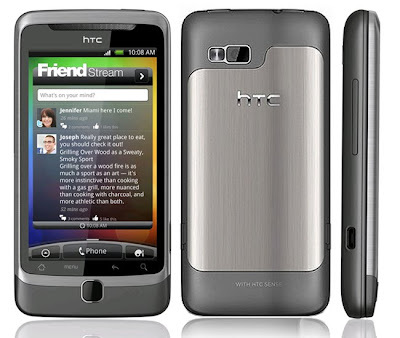 This handset by HTC - HTC Desire Z- has enhanced with web browsing experience with adobe flash support into it. It has 800MHZ qualcomm MSM7320 processor integrated in it. It has weight of 180 gm. HTC Desire Z has an internal memory 1.5 GB and it also contains extend memory up to 32 GB. HTC Desire Z has talk time up to 9.45 hours and contains the stand by time up to 430 hours. The HTC Desire Z also has blue tooth facility into it. Wi-fi connectivity is also present in this handset. It also has 3G functionality into it. The USB is also present in this mobile phone for data sharing and storing purposes. GPRS facility is also present in this mobile its higher speed. With enhanced 3G HSDPA functionality. It has a wireless connectivity of LAN with wi-fi network into it. HTC Desire Z also has A- GPS connection in it. This mobile phone HTC Desire Z has all the multimedia functionality and advantages into it so we can say that this HTC handset is fully loaded with all the dynamic features into it.